A few weeks ago, I was in Target and overheard a conversation between a teenage girl and her mom in which the daughter used the acronym "FTW" and her mother was completely confused. The daughter was annoyed at having to teach her mom its meaning yet again. Too bad the mother didn't have Acro-Dict installed on her iPhone, as this would've probably never happened. 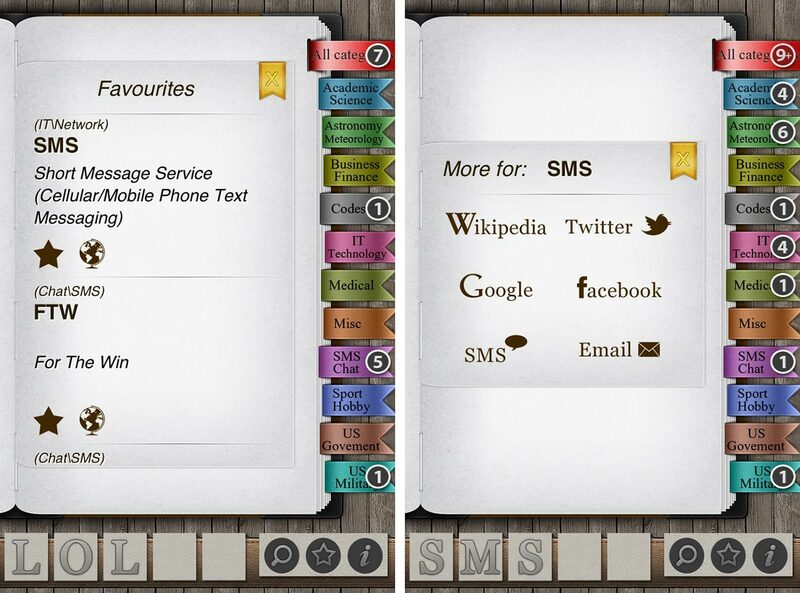 Acro-Dict is an iPhone app that lets you look up the meanings of acronyms, abbreviations and codes (AAC for short) and mark ones you may need to frequently look up (like those used by your teenager) as favorites. When you first open Acro-Dict, you are presented with a great little tutorial on using the app. It isn't hard to learn how to use Acro-Dict by discovery, but the tutorial is a great way to learn little tips like double tapping on a letter to erase it and all characters that follow it. 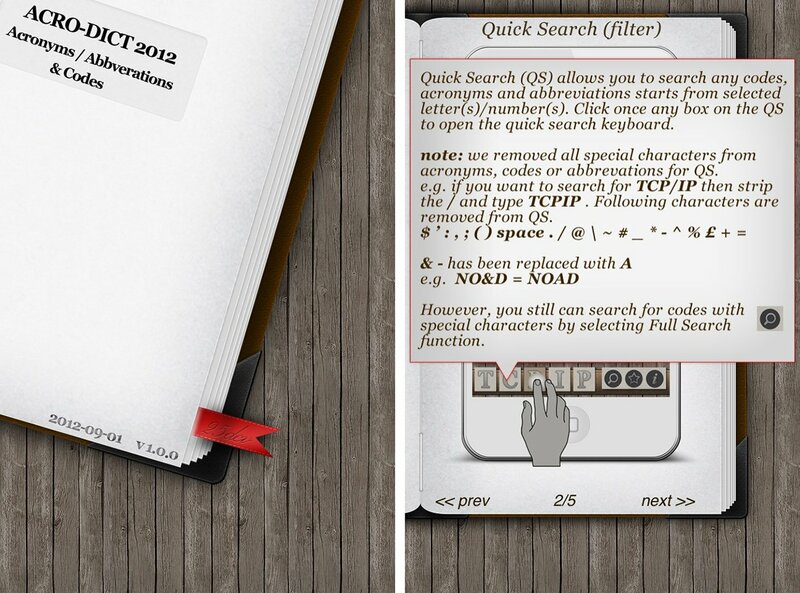 To quickly search for an AAC, tap the first space at the bottom of the screen. A keyboard with the alphabet and numbers 0-9 will slide up allowing you to enter up to 5 characters. As you type, the search results will refine in the background. If the AAC is longer than 5 characters, entering only 5 characters will still be plenty for it to appear in your search results. However, if you would rather search for it specifically, you can include all the characters by taping the search (magnifying glass) icon. To the right of your search results, you'll see a list of categories that you can sort them by. This is great if you're doing a broad search. For example, maybe you wan to search all ACC in the Medical category that begin with P.
Each search result in Acro-Dict will include its category, meaning, and a star and globe icon. The star icon lets you save it as a favorite and the globe will give you options for looking up the AAC in Wikipedia or Google or to share to Twitter, Facebook, SMS, or email. There are two version of Acro-Dict available. 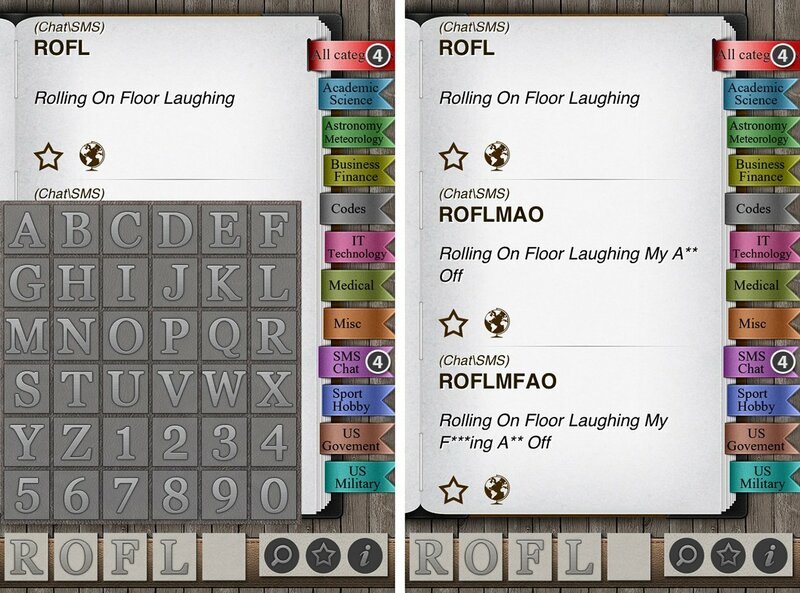 The free version of Acro-Dict includes only 80% of the AAC included in the full version. Unfortunately, they are completely different apps and the free version does not include an in-app upgrade. Instead, if you want to upgrade, the free version will direct you to the App Store where you can purchase the full version. This is annoying because you have to delete the free version off your iPhone. Free version doesn't have an in-app purchase option to unlock the remaining AAC. Instead, you must download the full version as a separate app. 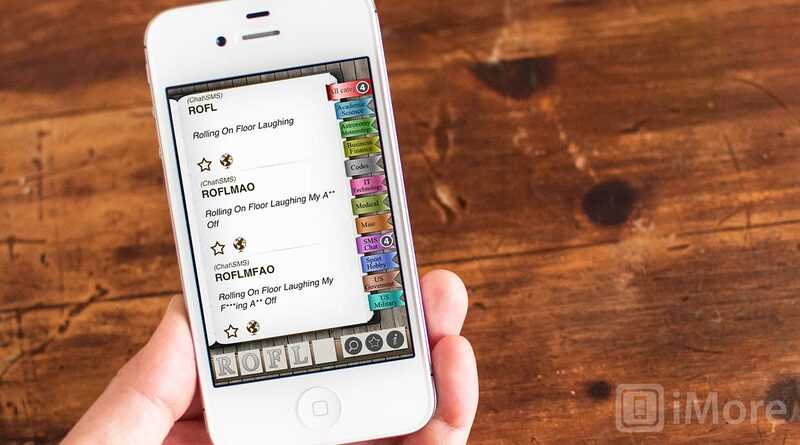 Acro-Dict is a great app for learning acronyms, abbreviations, and codes. It features a very nice UI that is both functional and great to look at. If you're a student or professional who encounters AAC on a daily basis or even a parent with a teen who uses more acronyms than real words (both in text and "real life"), then you should definitely take a look at Acro-Dict.